Finally, An HVAC Contractor You Can Trust In Cocoa, FL, And Surrounding Areas – Air Care Systems Inc. Here at Air Care Systems Inc., we really care about the air you breathe. What’s the point of having a company slogan if you don’t abide by it day in and out after all? We wholeheartedly believe that the backbone of any business is trust and quality workmanship. There’s something very powerful in the works when two parties can trust one another with their eyes closed. We know that you’re looking for someone who can get the job done on the same day, and who has respect for your hard earned money. The reason for this is that we have been a family owned and operated business ourselves since 1986, and we would expect nothing less whenever we find ourselves on the receiving end of a service. We’re in the business of bringing affordable comfort to you and your loved ones for many years in a row, and we are available 24/7, 365 days per year. With Air Care Systems Inc. you know you’ve got the best by your side. We are a Daikin Comfort Pro & Mitsubishi Electric Cooling and Heating Elite Diamond Dealer , which further underlines our competence in the HVAC field. This certification is only granted to 7-10% of dealers nationwide. If you want the best heating and cooling installations, repairs, service or replacement, get in touch with us today! 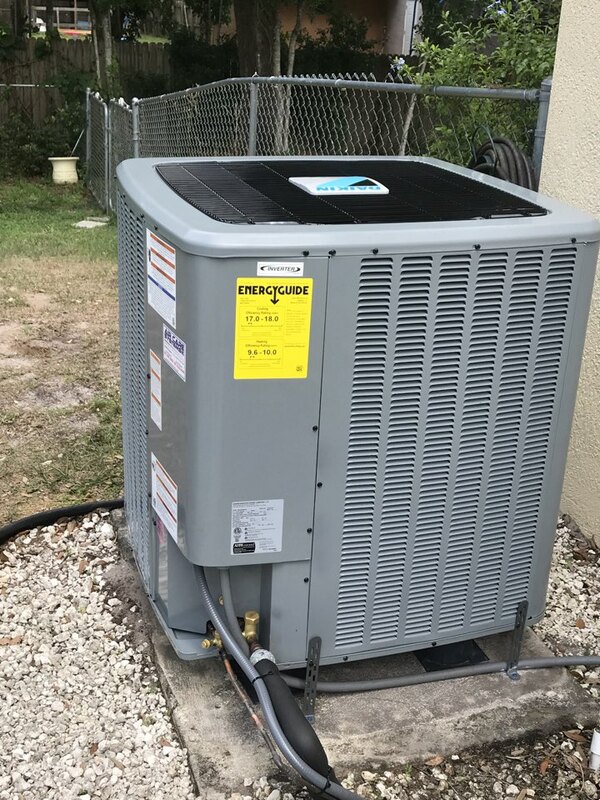 Cocoa, FL Heating and Air Conditioning Service by Air Care Systems, Inc. provides heater and air conditioning repair, service, installation and services in Cocoa, FL and surrounding areas. Check out what some of our customers are saying about Air Care Systems, Inc. Heating and Air Conditioning services. From start to finish. Top class and the job done right. More than impressed. The office staff and the service personnel are the greatest. They always have a great attitude and conduct themselves in a professional manner. The tech was actually early, both of them were very pleasant and did the 6 month inspection. I appreciate the professionalism as well. So glad I changed to this company, I really feel like I am important, and get great treatment from them. Thank you all so much. Great service - as always! Chris just performed our biannual maintenance. In addition to providing outstanding service, he is always professional, courteous and friendly. “Drew” has been my service tech for 10years and I always been impressed with his service and professionalism. From 1998 , I have always had Great honest service from Air Care. Been using Air Care for many years to install and service our AC units. They show up on time, get the job done and offer suggestions to make my systems operate better and survive the Florida climate. I've dealt with this company before and I have always been satisfied with the service. Thank you Joey and Ann. 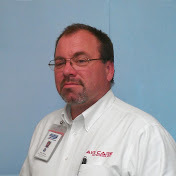 Chris and the Air Care System team consistently provide expert service and advice on my air conditioning systems. Thanks Jim! We appreciate the LONG friendship we have had with you and Mary and your business. We look forward to many more years! I will pass along your kind comments to Chris! Kind Regards, Ann Powers, V.P. Fixed the system as promised. Mark, we were honored to come to your rescue to provide repairs to your equipment that was installed by another company. Not everyone knows that we are the EXPERTS when it comes to ductless in this area. I am very glad to see you happy and cooling again! Should you run low on referral cards and you need more, let us know. WE value every kind referral from our clients and will give them the same white glove, 5 STAR service you received. Again, thank you for your business, time and comments on your experience. Kind Regards, Ann Powers, V.P. Great service,and they kept our old A/c working until our new one was installed! Thank you both! It was our pleasure and we are glad we had the ability to keep you running while you patiently waited for an opening in our booked schedule. We also appreciate that you chose to wait on us for your new system instead of choosing to go elsewhere. That speaks volumes about how strongly you felt about our company, products, services and proposal. Welcome to our Air Care Systems, Inc. family! Kind Regards, Ann Powers, V.P. Really appreciated the flexibility of ACS to fix a condensate drain issue on a holiday that was associated with an inline pump. Chris took the time to assess the issue, fix the problem and ensure the unit was performing optimally. Alice and John, we are grateful for kind, understanding and patient clients like yourselves. We were very pleased to take care of you with a SMILE! Thank you for choosing Air Care Systems, Inc. for all of your heating and cooling needs. Kind Regards, Ann Powers, V.P. Drew help make me very comfortable about the replacement of my AC Thermastat panel. He did a great job explaining all the expenses and provided comforting expertise in the installation and setup. Thanks, Dennis! Drew is the BEST! He has extensive knowledge of our product line and works hard to offer products that not only meet the features and benefits of our clients but also at a price point that offers value. All while keeping in mind the quality and warranty offered by the product manufacturer! Thank you for choosing Air Care Systems as #1 AC Contractor Brevard County! Regards, Ann Powers, V.P. Chris arrived on time, went about his duties efficiently and professionally, and briefed me on his findings. Good job! Thanks, Ron! We appreciate your time to share your thoughts! Way to go, Chris! Wonderful service, clean looking job when finished. Drew and Chris were great, they explained the install as I observed (some of the time) more than wiling to answer question about the new unit. Explained the operation of the unit and what I could do to keep running. Couldn't ask for better installers. Drew & Chris had serviced our old unit, plus Drew had installed a Ductless unit in our bed room 2 years ago. Nice and friendly. Drew and Chris are AWESOME! Enjoy that Daikin system for your whole house and that ultra quiet Mitsubishi for your bedroom! That 12 year warranty is a wonderful PEACE OF MIND product!! Kind Regards, Ann Powers, V.P. Drew & Chris did a great job stalling our new A/C. As I was watching them (some of the time) they were more than will to explain the process of the install. They also explained the operation of the unit very well. Drew had install another unit in our bed room two years prior and had serviced both units. Friendly and helpful, couldn't ask for better. Drew and Chris are TOP NOTCH!!! Enjoy that wonderful Daikin air conditioner for your entire house and the ultra quiet Mitsubishi in your bedroom! That 12 year warranty is a fantastic PEACE OF MIND product!! Glad we could make you SMILE once again! Thank you for your business and continued trust! Kind Regards, Joey Powers, Pres. I thought the service was very good. The parts were expensive. I had two different techs they both were very helpful and very prompt.,also worked around my schedule. Rick, Thank YOU! WE are happy you joined our family! We, too, were sad regarding the cost of your parts. It is difficult when we take on the off brand ac repairs for clients and there aren't any local supply houses that service the brand. Unfortunately, that is EXACTLY what happened in your case. We were forced to purchase from the ONLY supplier online that even had the part for your HAIER brand equipment. We are so glad though that we could get you up and running in such short order! Call us anytime you have a need, we are always here to help with a SMILE! Kind Regards, Ann Powers, V.P. Drew, Mike and Chris did an outstanding job on installation of my new A/C unit. They informed me on what they would be doing and if I had any questions. Once they were complete they cleaned up the area and reviewed and explained the completed installation. What a great group of professionals. We are blessed to employ such a GREAT team with a strong work ethic and love to provide outstanding customer service. They consider our customers a member of their family, as do we! Thank you for the kind word regarding our techs. Kind Regards, Joey Powers, Pres. I have been a satisfied customer for over 20 years. When I had questions or problems, I always received a professional response within a short period of time. I am very happy with the service and the personnel at Air Care Systems. Thank you Bill and Mary, we value your loyalty and friendship over the 20+ years! The kind review was much appreciated. Regards, Joey Powers, Pres. Spring maintenance and another great service from Chris. It's a really good feeling, knowing that our system is in very capable hands. Thank you! Thank you for being a happy client since 2009! It has been a pleasure serving you and Tom! Don't forget we have a Referral Rewards Program in place should you know someone just like yourself that might be in need of our services, maintenance, ductless systems and new system installations. Thank you for the loyalty and kind words! Regards, Ann Powers, V.P. Thanks! It has been wonderful serving our friends at the TGO over the years! Happy Easter! Regards, Ann Powers, V.P. Great Service. You could not ask for a better service experience, or as it turned out a better installation experience. Work done on time as quoted and the site was cleaned up better than new. Joe the owner came by just to check out the work and found a small thing he did not like and corrected it in a tie no less. I cannot recommend any company higher than Air Care Systems. And that says a lot, i am very picky. Great work, i will be calling them again. Best value i have ever had. This is the fourth time your company has either provided phone technical support or services. On all visited dates the technicians have successfully resolved the problem. 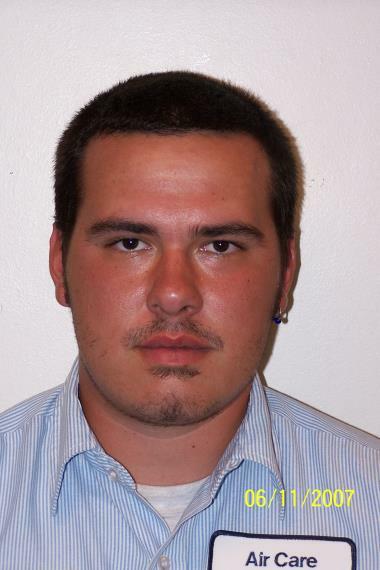 The latest visit by technician Andrew Bucurel delivered a professional and respectful attitude. Andrew provided a detailed explanation of the problem at hand and resolved the issues. Thank you support and providing a reliable and affordable service. Mike arrived at our apppointfd time after calling to confirm. Went about his duties checking the units performance efficiently and effectively. Joe and Mike demonstrated a very positive problem solving attitude and were very responsive in resolving an unexpected technical issue with the new AC's programming. Chris and the Air Care team have taken care of my A/C systems for many years. They are dependable, prompt and courteous. We are excited about the new product and the honesty of Joey. Air Care Systems was there for us when we needed them - on a holiday weekend this time. Thanks!!! Chris is very knowledge and professional in providing a great service. Thank you Chris for all you do in providing a great seervice to your customer. Quick service, very knowledgeable, not pushy- took time to explain, called prior to arrival and showed up on time. I will definitely use this company again. Awesome. Very professional and Kudos for taking the time to explain the Extended Warranty and Annual Service Contracts. Very smooth transaction, fast installation, and excellent knowledge of products. I've always had great service from Air Care Systems and Chris! Hello Allen! Thank you! Chris holds you in high regards also. we appreciate the trust and loyalty you have placed in us and look forward to many more years to come of providing excellent customer service and quality products and services. Regards, Ann Powers, V.P. Robert, we are pleased to see ANOTHER 5 STAR ratting! We LOVE what we do and I am glad it shows. Our customers mean the world to us! Thank you for taking the time out of your busy schedule to share your thoughts and review with others who may be looking for that EXCEPTIONAL air conditioning contractor! Regards, Ann Powers, V.P. Thanks Greg for your kind words, it has been a pleasure caring for you and your system for nearly a decade now. We hope to continue our friendship and services for many more years to come. Should you have in friends, family or neighbors in the Cocoa, FL area looking for HVAC Maintenance, AC Repair or AC installation, please, send them our way! Regards, Ann Powers, V.P. Dennis, you are so kind and generous to share your referrals with your friends and neighbors. We promise to continue to provide the same quality and services to each of them that you have come to love and enjoy over the past 5+ years. Thank you! Ann Powers, V.P. Chris is very knowledge and always conducts himself in a professional manner. Bill, (hey baby) thanks for sharing and we are more than happy to share your kind words with others. We appreciated yours and Mary's friendship and loyalty over our lifetime! Have a blessed and Merry Christmas! Ann Powers, V.P. You've just acquired a very satisfied customer. I'll certainly call you in the future. Jan, thank you and welcome to the Air Care Systems, Inc. family of well satisfied clients! We are grateful to have you in the family and appreciate your trust and loyalty. Our Customer Referral Rewards program is a great way to earn rewards all year long! Regards, Ann Powers, V.P. Chris and the whole Air Care team are fantastic. They know what they are doing and are always there when you need them. Thank you so much Jim and Mary! We appreciate the LOOONGGG, loyal friendship and relationship we and our team members have enjoyed with you over the years! Go Cub Scouts!!!! Reach out to us any time you have a need and you know we will be there! Tell Mary we said "HELLO". Kind Regards, Ann Powers, V.P. Finishing maintenance on a Daikin heat pump for existing customer in Cocoa Florida. Performing maintenance on a DAIKIN straight cool unit for existing customer in Cocoa Florida. 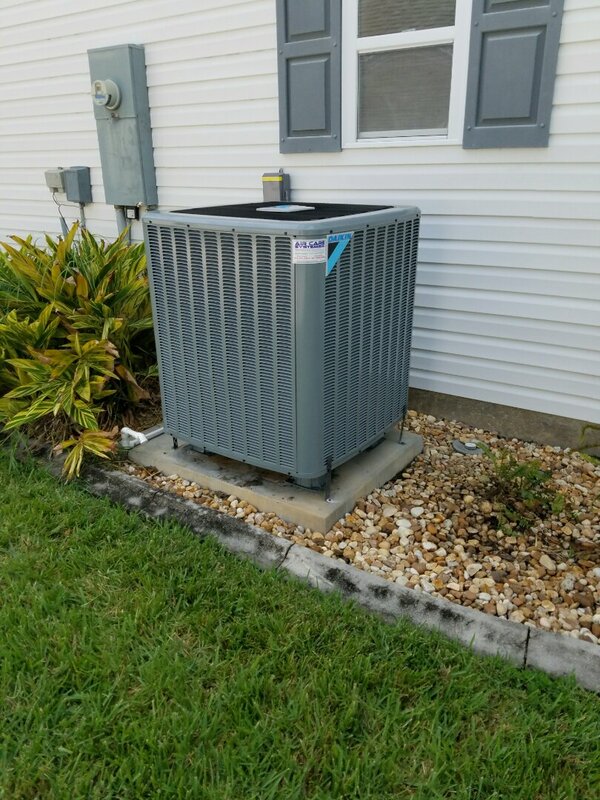 Preforming maintenance on a Trane heat pump unit for existing customer in Cocoa Florida. 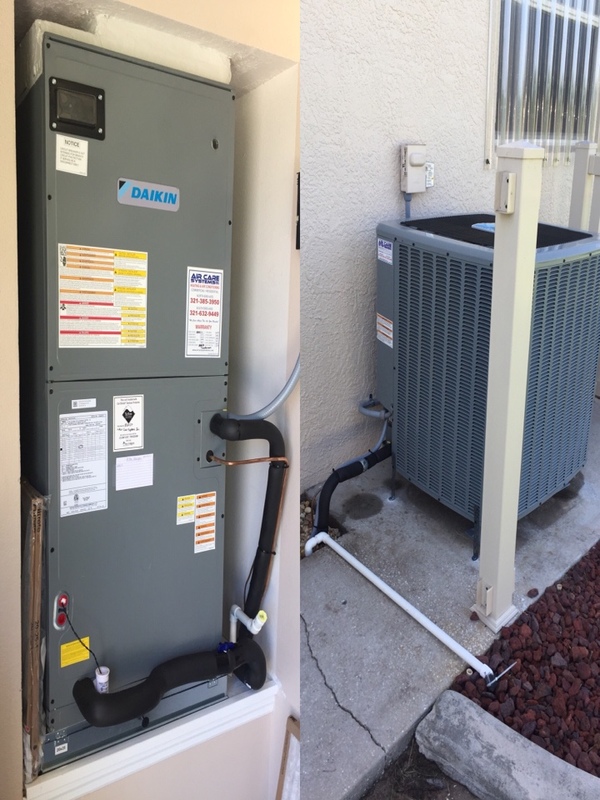 Preforming maintenance on a Daikin heat pump system for existing customer in Cocoa Florida. 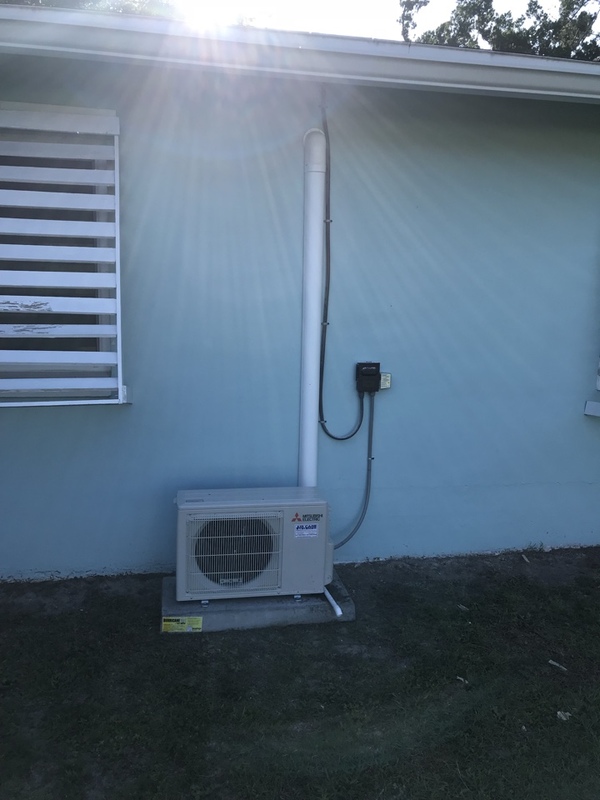 Daikin 2 speed straight cool system in Cocoa Florida. Finishing maintenance on a Westinghouse unit for existing customer in Rockledge, Florida. 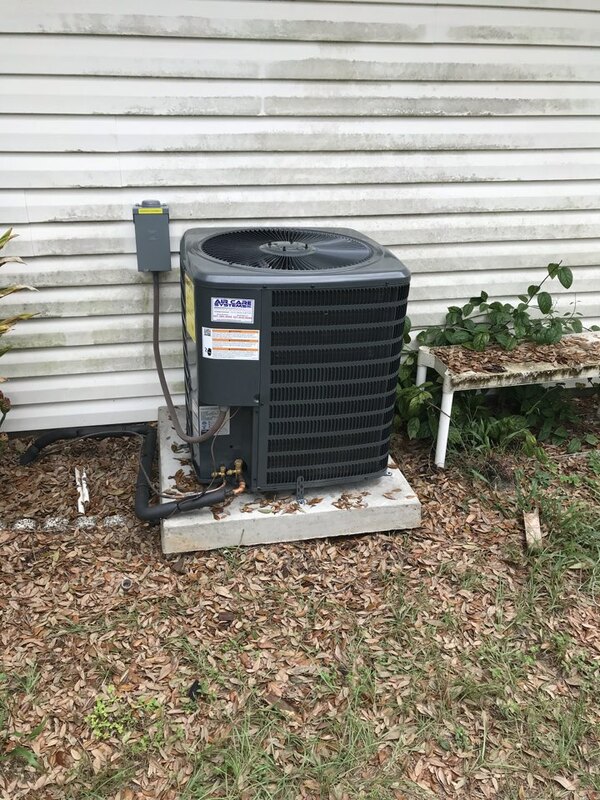 Finishing service call on American Standard system for existing customer in Cocoa Florida. Finishing maintenance on a Mitsubishi mini split for existing customer in Cocoa Florida. Finishing maintenance on a Trane air conditioning system for existing customer in in Cocoa Fl. 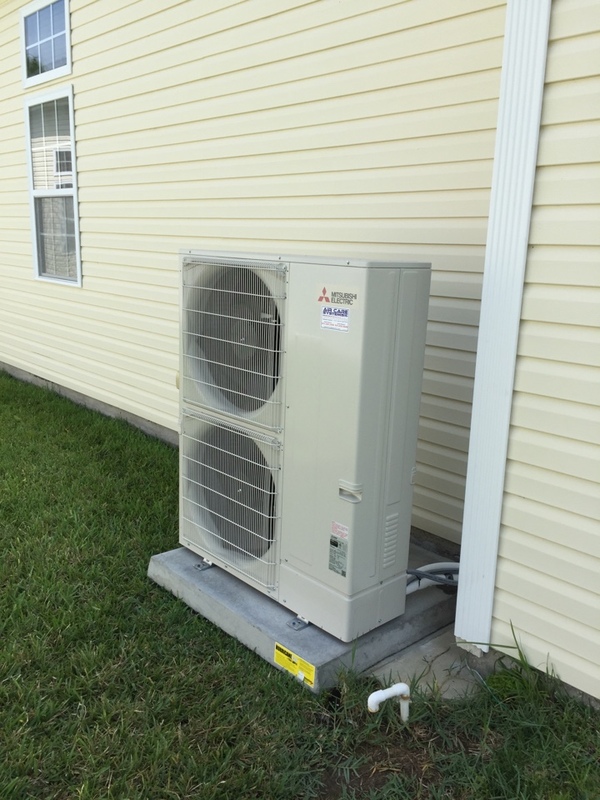 Finishing maintenance on a Mitsubishi unit for existing customer in Cocoa Florida. Finishing maintenance on a Daikin mini split for existing customer in Titusville Fl. Finishing repair on Daikin heat pump for existing customer in Titusville Fl. Finishing repair on Broan package unit for existing customer in Titusville Fl. Finishing repair on air conditioning system for new customer in Cocoa Fl. Daikin 14 SEER heat pump. Finishing maintenance on a Daikin heat pump for existing customer in Cocoa Fl. 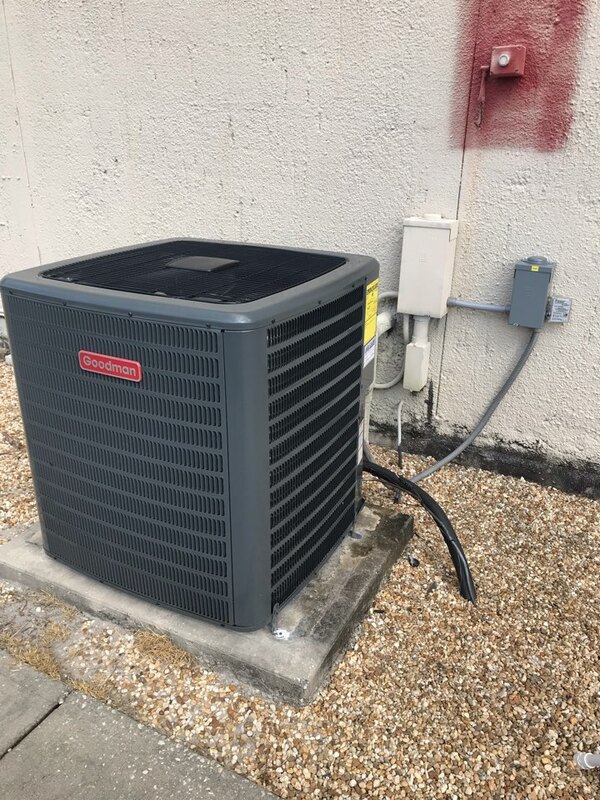 Finishing maintenance on a Rheem air conditioning system for existing customer in Cocoa Florida. Finishing service on a Goodman air conditioning system for new customer in Cocoa Fl. 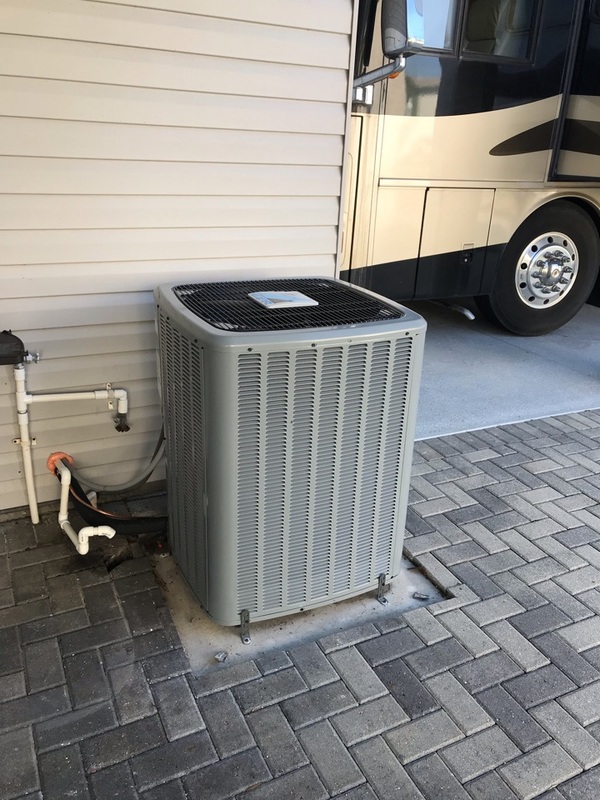 INSTALLATION DAIKIN HEAT PUMP SYSTEM IN COCOA FLORIDA. 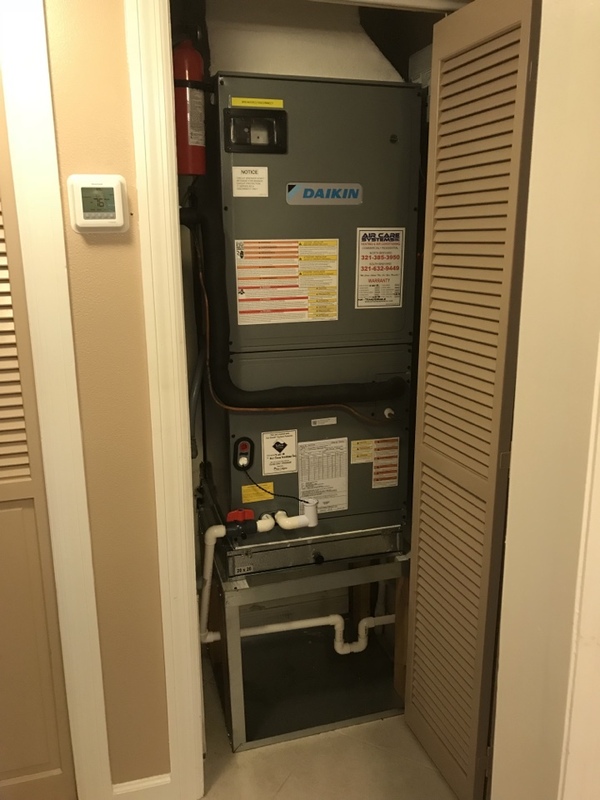 INSTALLING A DAIKIN 3 TON 14.5 SEER HEATPUMP SYSTEM IN COCOA FLORIDA. MAINTENANCE IN COCOA, FL. PERFORMED A TWICE A YEAR MAINTENANCE IN COCOA FL. Finishing maintenance on a American Standard air conditioning system for existing customer in Cocoa Fl. Finishing maintenance on a Trane air conditioning system for existing customer in Cocoa Fl. 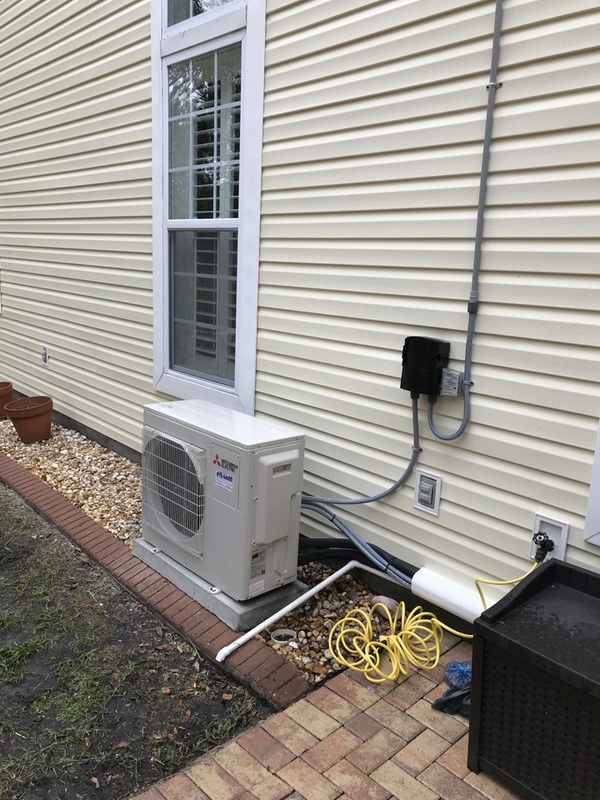 INSTALLATION OF A DAIKIN STRAIGHT COOL SYSTEM IN COCOA FL. INSTALLING A 3 TON 14.5 SEER STRAIGHT COOL DAIKIN SYSTEM FOR A RESIDENCE IN COCOA FLORIDA. Daikin installation of a 14 SEER 3 ton straight cool split system. 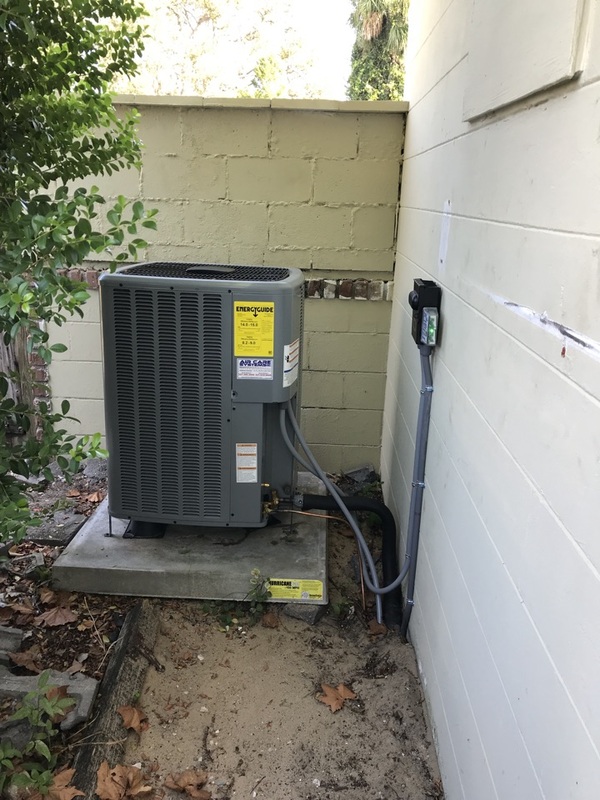 Finishing maintenance on a Rheem heat pump for existing customer in Cocoa Fl. Finishing repair on a Mitsubishi mini split for existing customer in in Merritt Island Fl. Finished service call on Heil air conditioning system for existing customer in Cocoa Fl. Installed 1.25 Ton 18 SEER Straight Cool Ductless Mitsubishi System in Cocoa Florida. Finishing maintenance on a Rudd air conditioning system for new customer in Cocoa Fl. Daikin heat pump 18 seer variable speed in Cocoa. Finishing maintenance on a TempStar and Mitsubishi air conditioning systems for existing customer in Cocoa Fl. Another satisfied customer in Titusville. 3 ton 14 SEER HEAT PUMP. 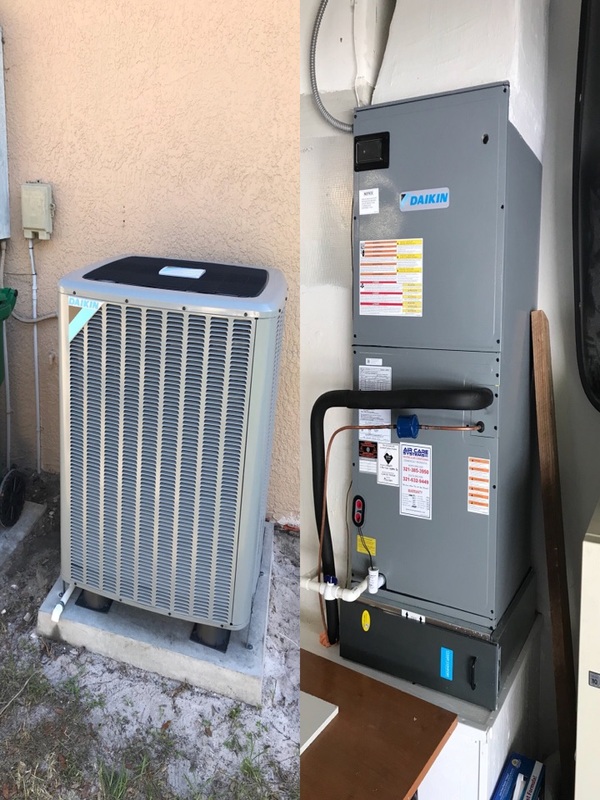 Another nice Daikin 16 SEER 3 ton heat pump split system on Merritt Island. Finishing maintenance on a Trane heat pump for existing customer in Cocoa Fl. 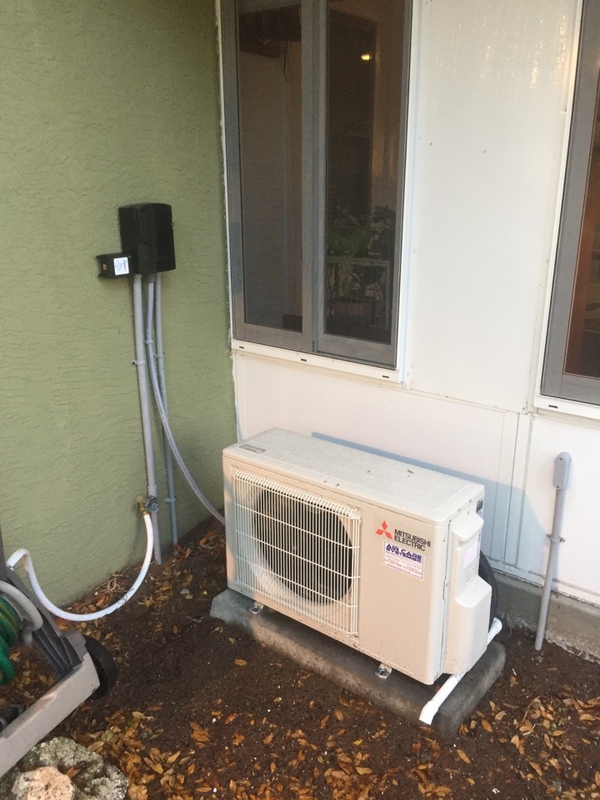 Beautiful Mitsubishi Ductless heat pump system for another great customer. Welcome to the family. INSTALLATION COCOA FL. 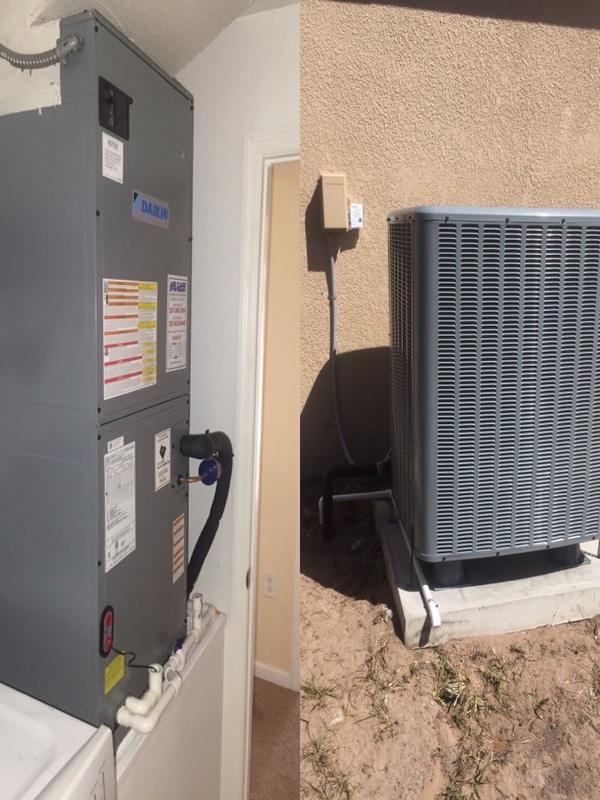 INSTALLATION OF A 2 TON 19 SEER VARIABLE SPEED DAIKIN HEAT PUMP SYSTEM. Finishing maintenance on a Rheam straight cool system for existing customer in Cocoa Fl. Finishing a repair in Cocoa Fl for existing customer. Another Titusville Mitsubishi multi Ductless installation. Nice job Drew and Mike. 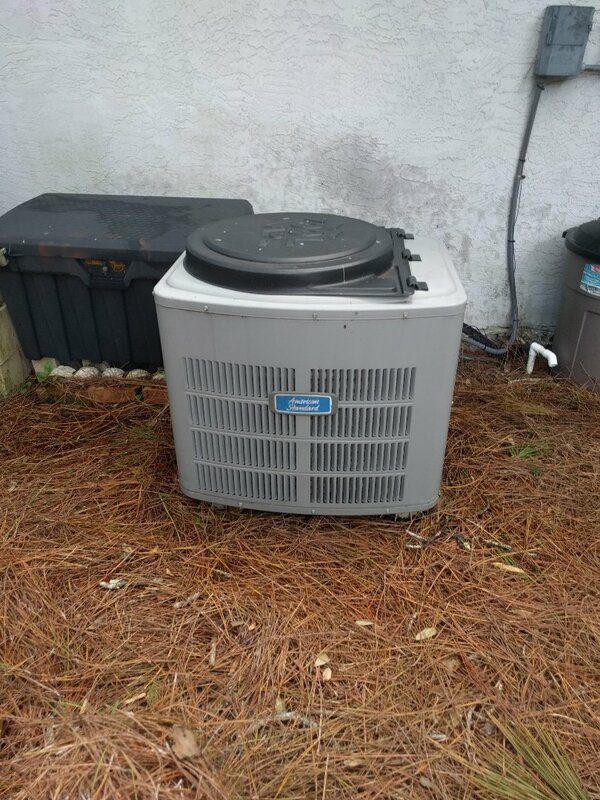 Great Daikin 21SEER 4 ton straight cool variable speed system in Titusville Florida. Great work team. Finishing maintenance on a Trane and American Standard systems for existing customer in Cocoa Fl. 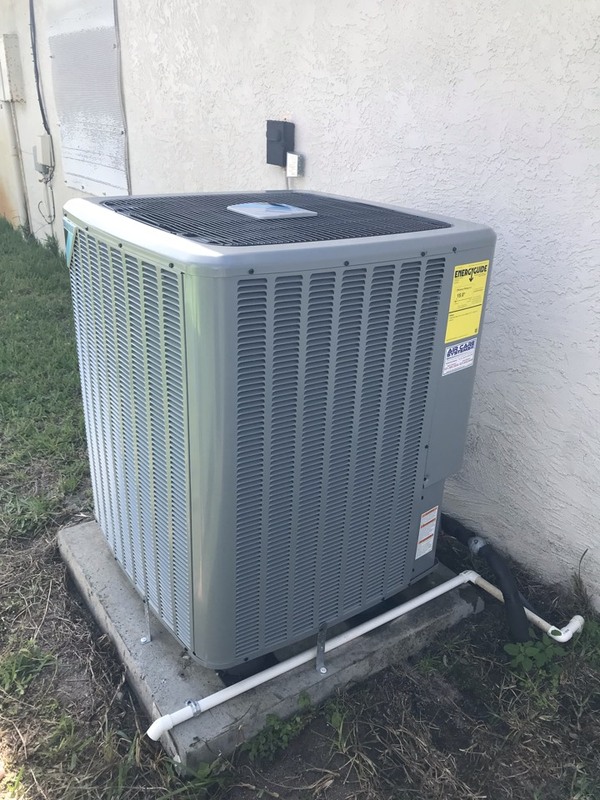 Finishing maintenance on a Broan heat pump for existing customer in Cocoa Fl. Finishing maintenance on on a Trane straight cool system for existing customer in Cocoa Fl. Finishing maintenance on a Westinghouse air conditioner for a new customer in Cocoa Fl. Finishing maintenance on a Daikin air conditioning system for existing customer in Titusville Fl. 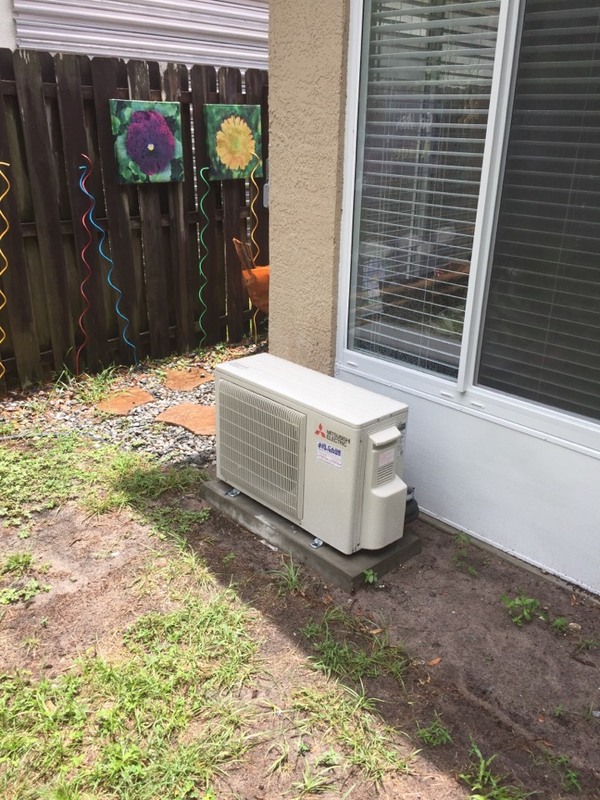 Great Mitsubishi house unit heat pump installation in Titusville Florida. 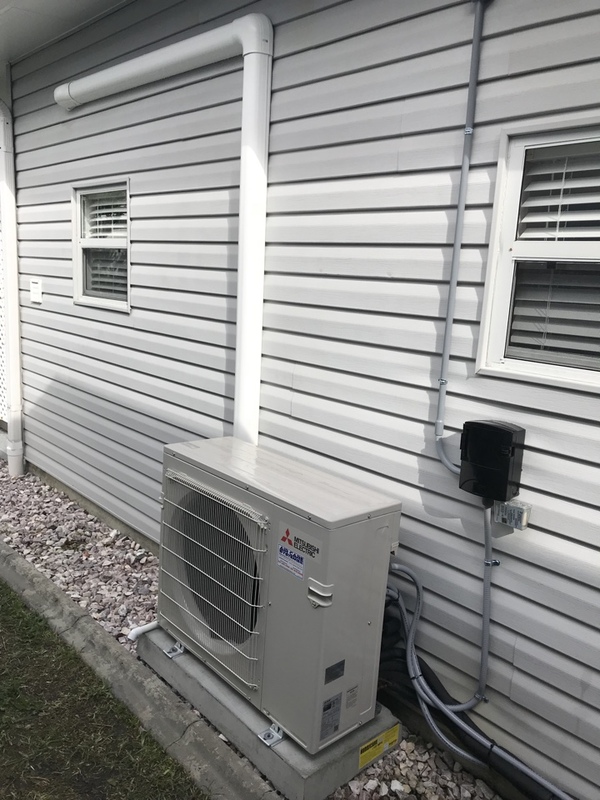 Mitsubishi 18 SEER ductless heat pump installation in Melbourne Florida. 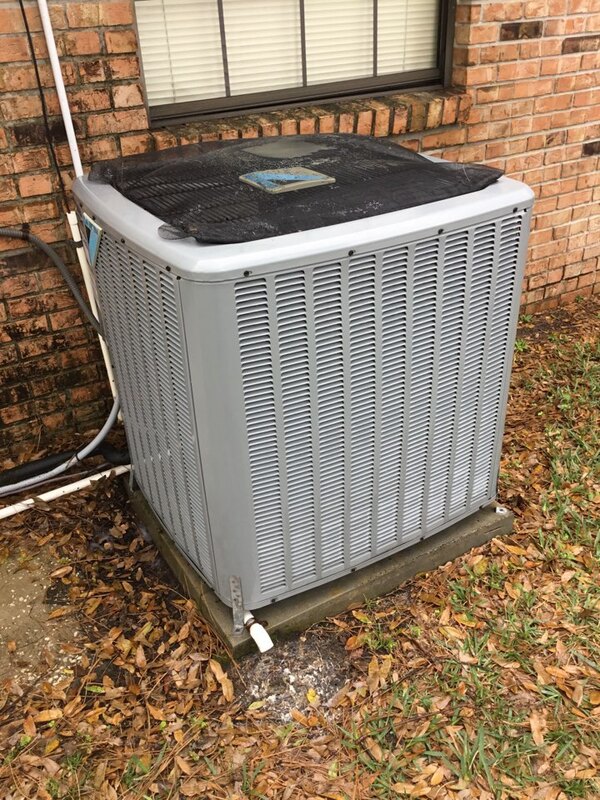 Finishing maintenance on a on a Rheem air conditioning system for existing customer in Titusville Fl. Finishing repair on an older American Standard air conditioning system for existing customer in Cocoa Fl. Finishing maintenance on a American Standard heat pump for long time customer in Cocoa Fl. Finishing maintenance on a Temp Star air conditioning system for a new customer in Cocoa Fl. Finishing repair on a Trane heat pump for existing customer in Cocoa Fl. Finishing air conditioner maintenance on a Carrier air conditioning system for existing customer in Cocoa Fl. Finishing maintenance on a Carrier heat pump for existing customer in Cocoa Fl. Finishing air conditioner maintenance on a Broan straight cool system for existing customer in Port St John. Finishing air conditioner maintenance on a American Standard straight cool system for existing customer in Cocoa Fl. Finishing air conditioner maintenance on a newer Mitsubishi mini split for an existing customer in Cocoa Fl. 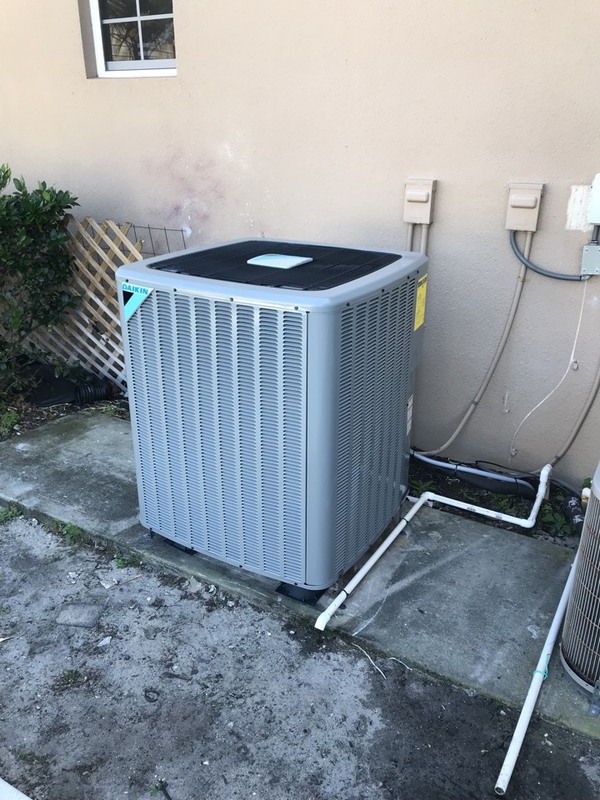 Finishing air conditioner maintenance on a Rheem heat pump for existing customer in Cocoa Fl. Another happy customer added to the family. Mitsubishi ductless wins again. Solutions!!! Checking out our new family member with a Variable Speed Daikin heat pump installation. Finishing air conditioner maintenance on a Daikin straight cool system in Cocoa Fl. 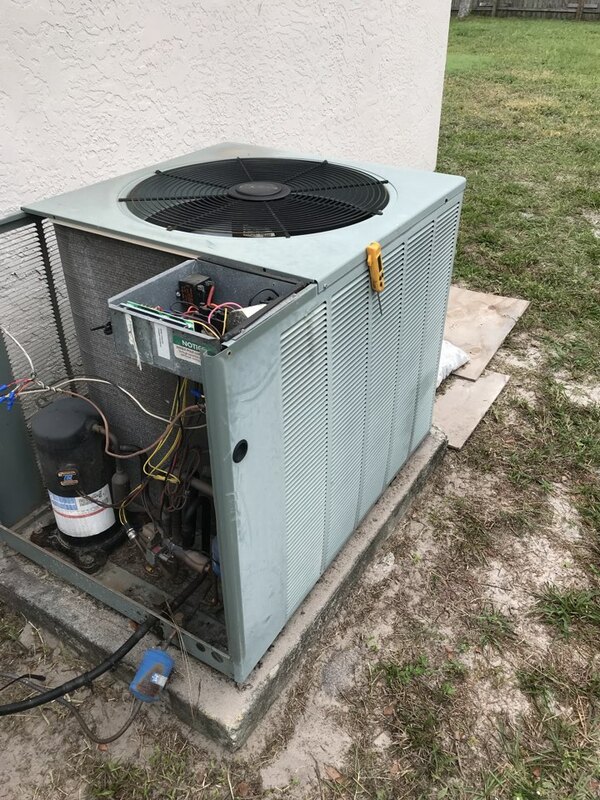 Finishing air conditioner maintenance on a Trane heat pump in Cocoa Fl for existing customer. Finishing maintenance on a Trane package system for existing customer in Cocoa Fl. 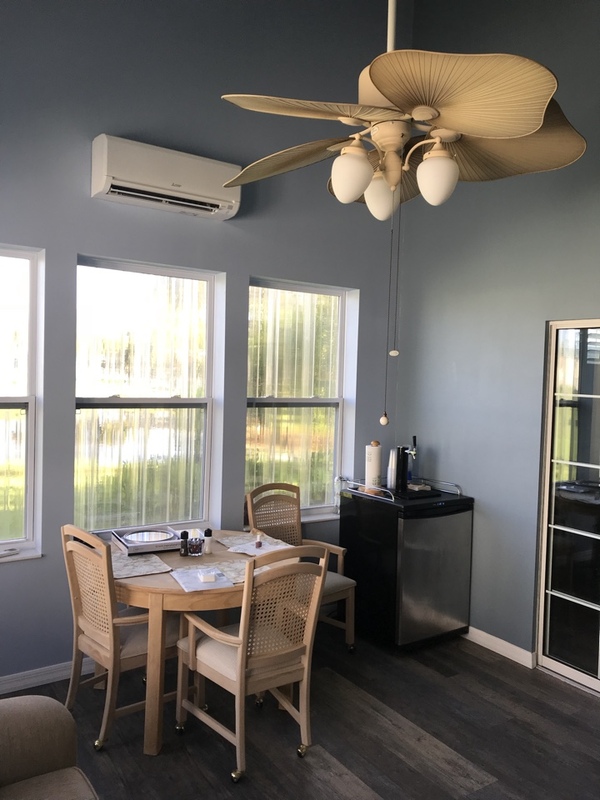 DUCTLESS SYSTEMS INSTALLATION COCOA FL . INSTALLED MITSUBISHI DUCTLESS SYSTEMS. Finishing maintenance on a Daikin straight cool system for existing customer. 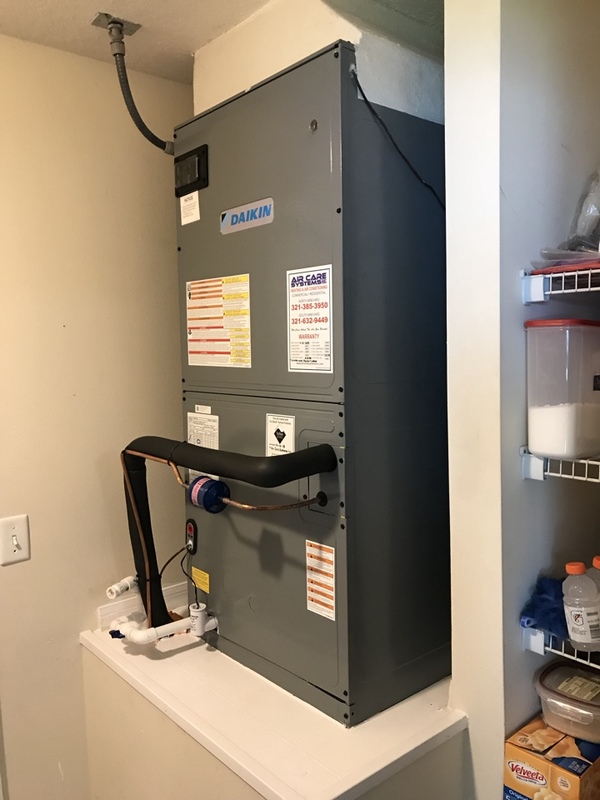 Finishing maintenance on a Trane heat pump for existing customer. Finishing maintenance on a Maytag inverter system for existing customer. Finishing maintenance on a Trane straight cool system for long time customer. Finishing maintenance on a American Standard heat pump for new customer. Finishing evaluation if Ruud heat pump for new customer. Finishing repair on an older Payne heat pump for existing customer. Finishing maintenance on 2 Mitsubishi mini splits for existing customer. Performing maintenance on a Trane XL 15i. Finishing maintenance on a newer Daikin heat pump for existing customer. Finishing maintenance on a American Standard heat pump for a long time customer. Finishing maintenance on 3 Trane systems long time customer. Replacing capacitor on a Daikin two speed heat pump for long time customer. Finishing maintenance on a older Trane straight cool system for a long time customer. Finishing maintenance on on a older Rheem system for existing customer. Installing new thermostat for new customer on a Rheem system. Performing a check up on a Nutone air conditioning/heating system that is not cooling properly. Providind a quote on a new air conditioning system. Performed maintenance on a newer Daikin system for a long time customer. Performed maintenance on two systems for existing customer. One Trane and one American Standard. 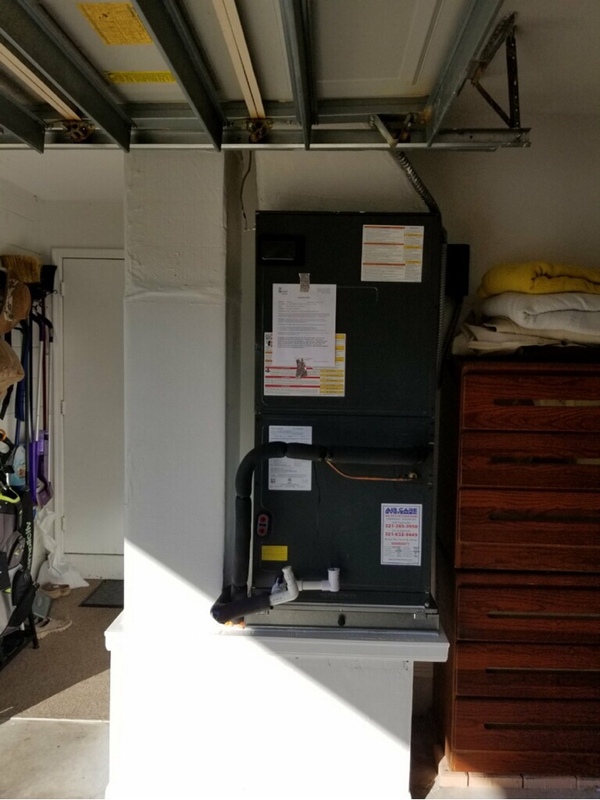 Performing Semi-Annual Planned Maintenance of a 2012 Rheem Heat pump air conditioning system to our loyal client of 7 years. This is the second home we have had the privilege to care for over the years! Calculated delivered CFM, Cleaned coil, cleaned drain, cleaned cabinet, waxed cabinet, checked safety mechanisms, and evaluated system performance. Unit is operational at this time. 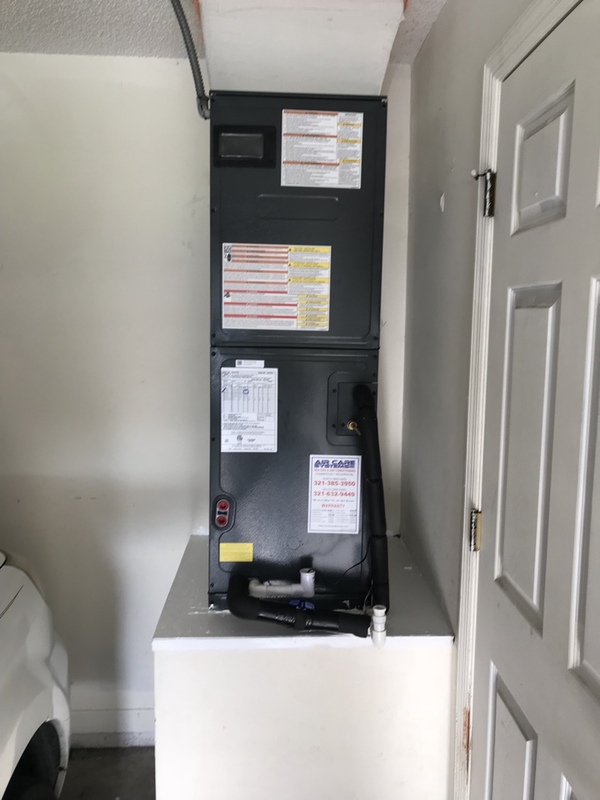 Client of 3 years reports Rheem system not cooling. Unit assessed and diagnosed with a bad run capacitor in the condenser, dirty and rusty evaporator coil, condenser coil very dirty and debris in drain line. Annual Air conditioning maintenance and heating Maintenance on system and run capacitor replaced. System operational at this time. Performing 1st FREE Semi-Annual Planned Maintenance on client's new Daikin 2.5Ton 14.5 SEER Split system installed June 2016. CFM of system calculated and recorded. Found new UV light bulb blown. Replaced with new bulb under warranty. Coil, drain and cabinet cleaned. Cabinet waxed. All system operations checked and functional. Repaired broken PVC condensate line at ahu and pan for our Semi Annual Planned Maintenance (E.S.P.) client of 14 years on 2007 Trane split system with Clean Effects. Reconnected drain and tested. Performed Annual Air Conditioning Maintenance and Heating Maintenance on 2 year old Carrier system. Cleaned coil, drain and checked all safety mechanisms. 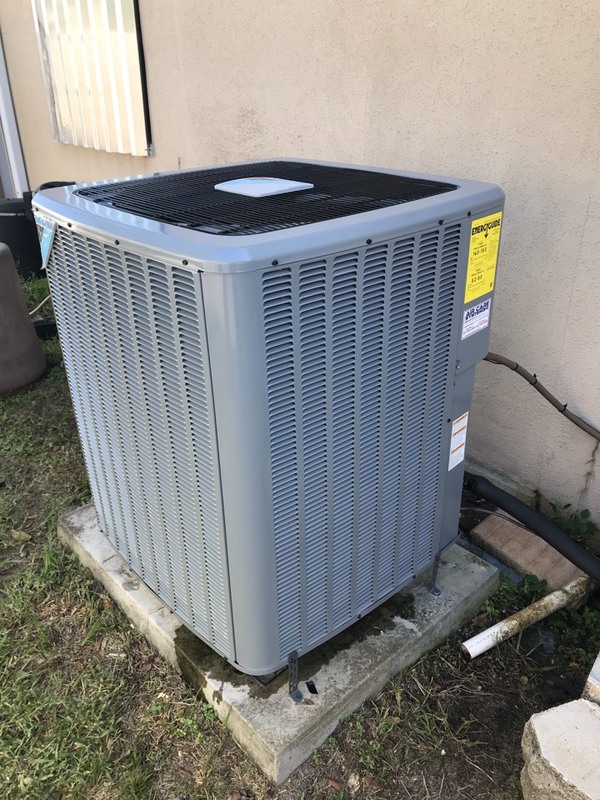 Performed Annual air conditioning maintenance and heating maintenance on two, 2 year old Carrier split a/c systems, cleaning coil and drain line. What’s the point of having an air conditioner installed if it’s not working as promised? For better or worse, HVAC systems are prone to wear and tear. This means that they are in need of professional attention in regular intervals. When it comes to ducted systems on the other hand, make sure you get duct testing, infiltrometer testing, and duct sealing done if need be. You would never drive your car 100,000 miles only to never have it checked at the shop. If you’re looking for emergency AC repair in Cocoa, FL, and surrounding areas, give us a call today. Our expertly trained technicians will help you decrease your energy bills and increase the lifespan of your AC! 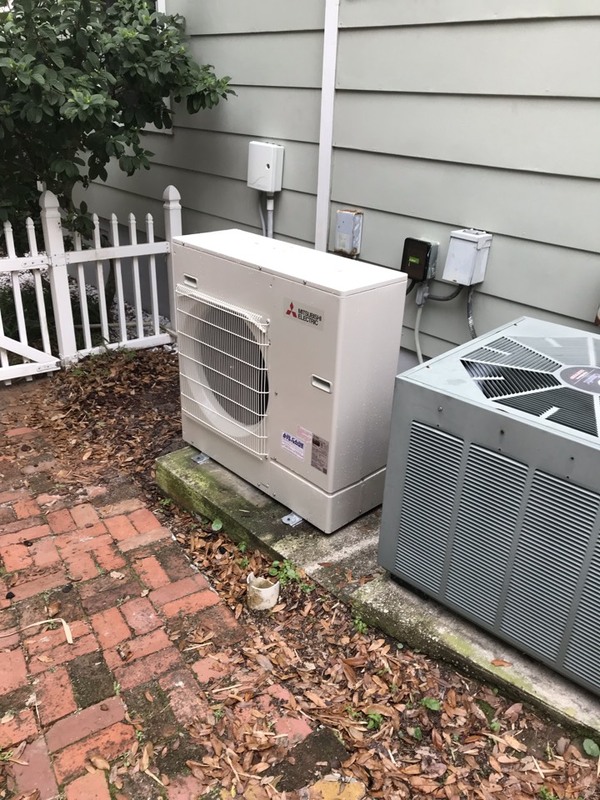 Our team here at Air Care Systems Inc. has been a Daikin Comfort Pro & Mitsubishi Electric Cooling and Heating Elite Diamond Dealer for years and you can trust us to provide quality products and dependable service whenever you need it the most! 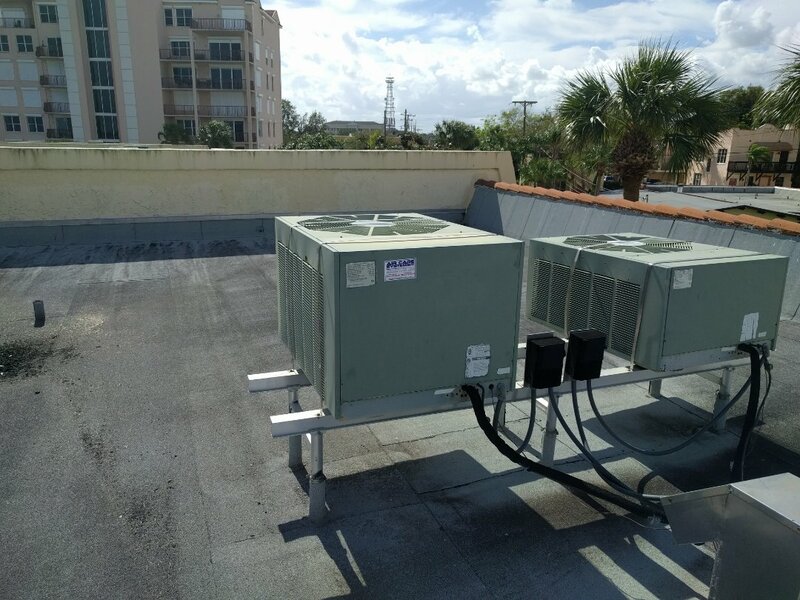 When it comes to expert AC installation and replacement in Cocoa, FL, and surrounding areas, we will get the job done in a timely manner and we won’t rest until you’re fully satisfied. If you want the best value for money, and you like dependable results, give our team a call today to discuss about your options! You can reach out to us at (321) 632-9449! We look forward to helping you boost your home comfort for the long run!